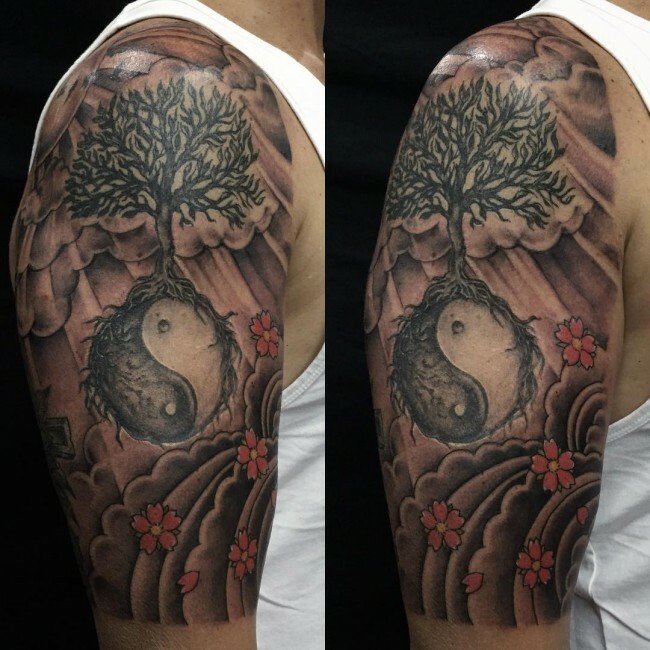 When it comes to the tattoos that are most valued by the Chinese people, the Yin Yang symbol is ranked as one of the best together with the phoenix and the dragon. The circular Yin-Yang symbol is divided into two equal, symmetrical parts. The symmetrical parts have two contrasting colors, white and black. The white section is the Yang, and the black part is the Yin. In the Chinese culture, the Yang and Yin are opposite in nature but they believe that they attract each other. Just like in the real life situation, opposite sides attract each other. The Chinese believe that when they attract each other, they form five elements that are believed to create the universe. These elements include water, earth, fire, metal, and wood. The Yin Yang symbol represents an ancient Chinese Taoist that they believe that it runs the universe. They have a strong believe that everything in the universe can only be defined as a Yang or Yin. 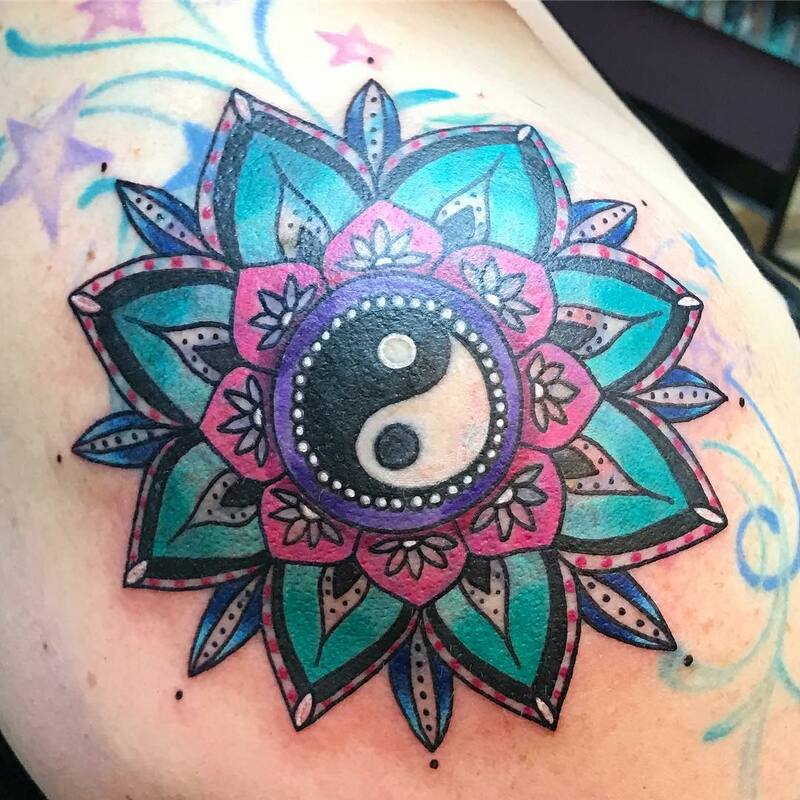 These type of tattoos are the best choice if you want to choose a design that can portray the balance between two opposing forces in life. You can decide to wear the tattoo in various parts of the body including the shoulder, neck or the back. 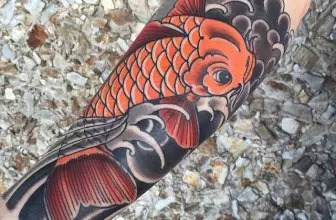 Because of the uniqueness of these types of tattoos, it is recommended to hire the services of a reputable tattoo artist. 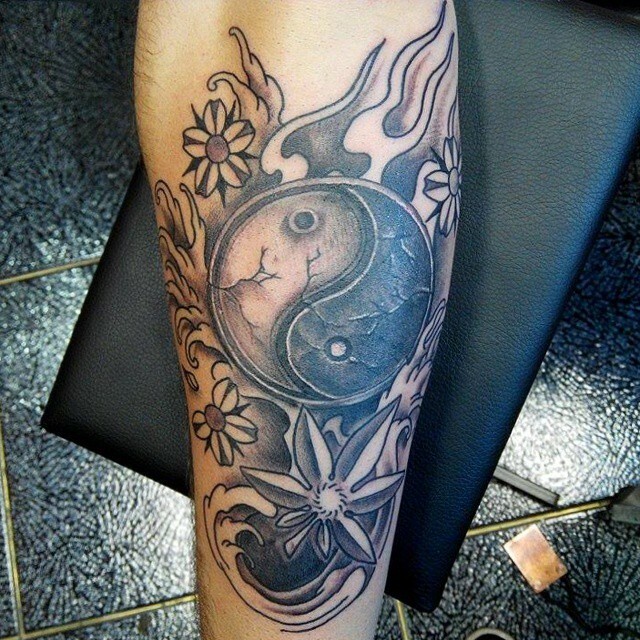 In the tattoo industry, one of the designs that have now achieved significant popularity is the Yin and Yang symbol. It is an important component of the Chinese culture and represents female and male balance and unity. The Yang represents the masculine power while the Yin represents the feminine force. 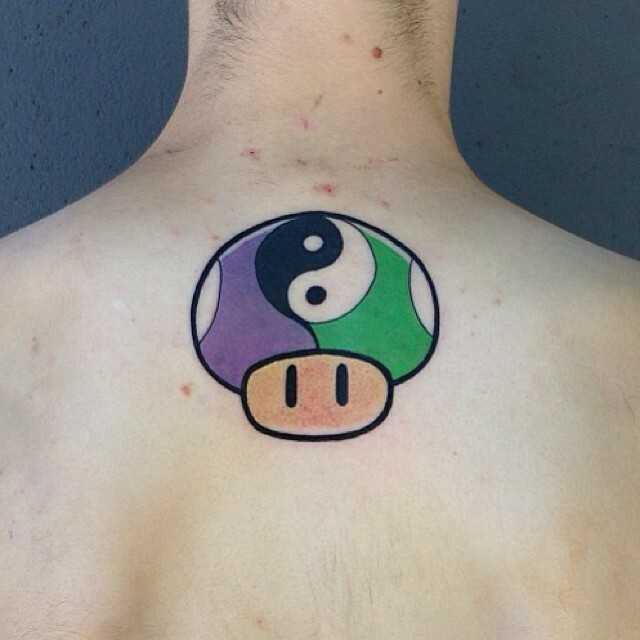 Even if the standard colors for the Yin and Yang are black and white, it is now common to see people wearing black and red Yin Yang tattoos. The Yin is white and has a black spot I the middle and the Yang is black, with a white spot in it. The Yin Yang is also referred to as the Tajitu, which means that the Yin has the responsibility to create or form while the Yang portrays a destructive outlook. They are opposite of each other but must work together the way a husband and wife should. The idea that the Yin and Yang and male-female represent opposing forces that must work together from opposite ends is not a concept that is not limited to the Chinese culture alone. Other cultures have these beliefs. The tattoo is a sign that you have a sense of harmony and balance and that you are ready to show this trait to all the elements around you. 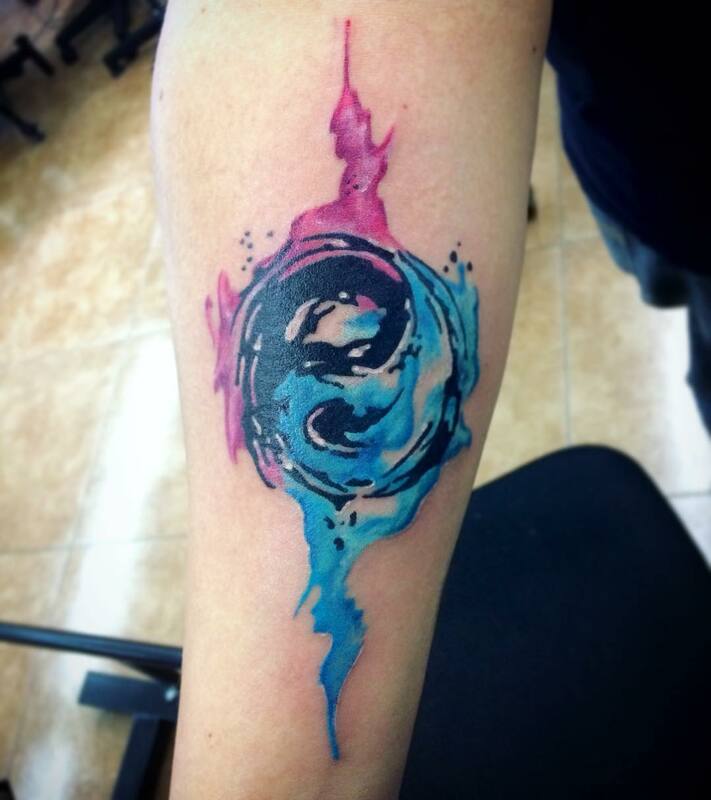 The tattoo shows that even diametrically opposite forces can work together. It encourages us to coexist even if we have different ideologies and perceptions about life. Even if you take it as a pure tattoo design, expect people to comment positively about it if you are wearing one. Some of the unique qualities of the Yin are that it is expected to be soft, damp, giving, cooler and slower. These are the attributes of women in the society. These attributes are balanced by the characteristics of the Yang. The Yang represents solidness, dryness, heat, aggression and speed. Just like our society, the feminine traits are supposed to be complemented and balanced by the male traits, and that is the two sexes have divergent characteristics. The tattoo features an incredible feather wings that are decorated with black and white colors. They are designed for both men and women, and this makes them popular. If you decide to have this type of tattoo design, you can wear it on the shoulder, upper arms, or back. They are great for the military personnel because they show strength, courage, and protective power. This is a special type of tattoo that is professionally designed and inscribed to look marvelous. Unlike other tattoos that represent the two sides of human nature, they are quite different. It represents different scenarios. One part of the tattoo depicts the beautiful nature of the night and the other show sunset. These features make the tattoo have a gorgeous appearance. 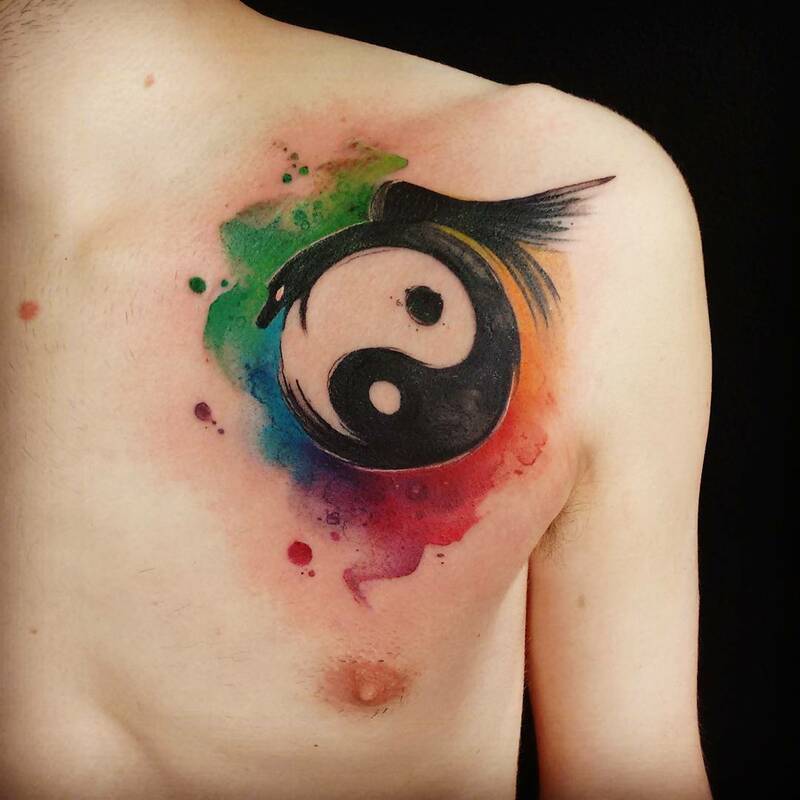 The uniqueness of the Yin and Yang tattoos enables you to use them in showing off your two antagonistic sides, the angelic as well as the evil side. This is a majestic tattoo, specifically designed to show that one can be as dangerous as fire and cool down as if water has been poured on the fire. If it is well styled, it will be gorgeous, trendy and fashionable to look at. If you what to wear an attractive, spectacular and outstanding tattoo, you should prefer the floral tattoo. The tattoo is designed with a green color, well styled and features some elements of creativity. This is the basic Yin Yang tattoo design. It features a circular shape with a white color representing Yin and a black color for Yang. Both the Yin and Yang are symmetrical and have dots in between them. The tattoo represents the opposing forces in the universe that depicts the importance of having a balanced life. In the Chinese culture, these types of tattoos are considered to have hidden meanings that need to be interpreted. This is a famous type of Yin Yang symbol enclosed in a lotus. The Buddhist religion recognizes this lotus as a holy seat of Buddha. The unique combination of the lotus with the Yin-Yang symbol shows the strength of purity and faith. The Chinese people recognize the Lotus as a perfect and pure flower that rises from the mud untainted. The unique combination of the Yin Yang and the Lotus is a focus point for a pure mind, body and soul in the society that has several challenges. If you wear this tattoo, you will be informing the world that you are holly and ready to remain in the same state forever. It is highly recommended for believers. This is an incredible tattoo that almost covers the whole body and depicts a tree of life in a beautiful storytelling artwork. The tree separates two contradicting worlds; one is full of light in a hot summer and sun’s heat, in a red burning sun, bright orange, and warm yellow colors. The other part is in winter with a dark blue sky, mountains, cold, with northern lights, and a large moon in a starry sky at night.